All in all its cute and only 8 minutes long so its nothing really that hard to watch if your just looking for a quick, easy, lighthearted show. I'll give it an average 6.5/10. At first brush it looks like a short version of girl idol anime (8min first ep, then 4min after), but upon closer inspection it gives a different impression of where the focus is placed. Sure, there are idols singing in small venues, but there is a significant amount of attention placed on the general fans, as well as 2 specific fans. 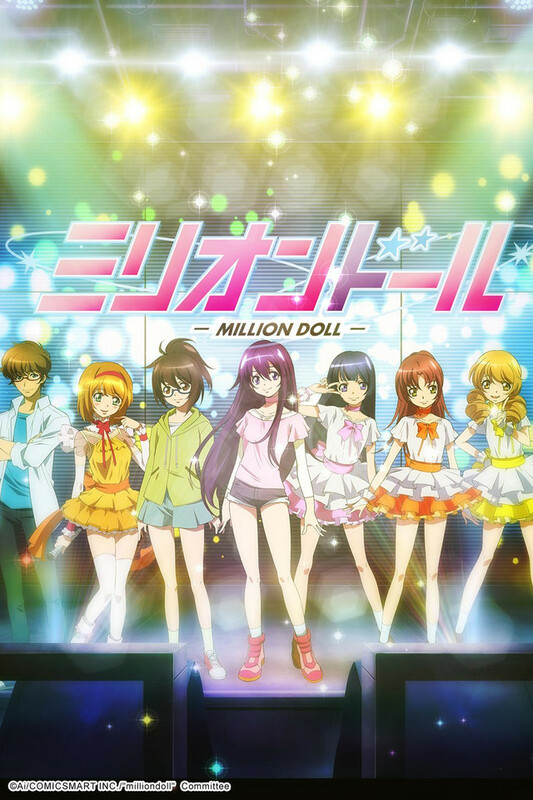 This leads into the series being aimed more from the idol fan perspective with multiple idols involved. One is running a fan blog to support a 3 girl group from a smaller town, and the other is a coat tail fan turned single dedication with a more direct relationship to a single idol. Getting viewpoints from both fan and idol gives a different perspective as the fans work to propel their favorite idols to stardom. The animation is a bit rough at times, which may be in part due to the short format and budget. The story concept has potential, but suffers from not having sufficient time to develop the story or characters. They do manage to keep things moving even under those restrictions, and has improved slightly from my initial impression. "Doesn't look too great. Well, I've got nothing better to do..."
The title of this review comes from one of the later episodes and it describes this series perfectly. There's nothing bad about this show per se (outside of the abysmal CG opening sequences), but its biggest problem stems from the plot, or rather, the lack of one. This anime tries to focus on its story of two rival fans promoting a solo idol and an idol trio respectively, without actually focusing on that story. They never interact, the "conflict" is never resolved, and all that's left is a meandering mess that can barely be called a slice of life. If you've got nothing better to do than watch a complete waste of time, this show is for you. This show is not something significant, but it provides different perspectives from typical idol anime - the fans' perspectives. Also, unlike idols that quickly get fans nation wide, as in many other idol anime, idols in this anime have only a geographically local fan base. It deals with these small idols' decision making process of whether to expand their fame further and some practical issues about it. These unusual perspectives make this mini show not a bad one. As for the other elements, they are just okay.